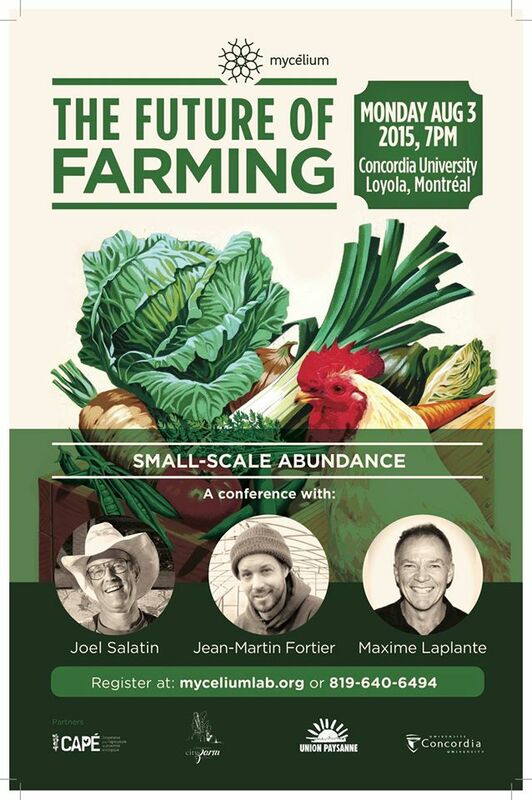 Joel Salatin (Polyface Farm), Jean-Martin Fortier (The Market Gardener) and Maxime Laplante (Peasant Union) we will explore the potential of small-scale farming to create farms that are both profitable and ethical. According to the United Nations, small-scale organic agriculture is the future’s way of feeding the world. In Quebec and around the world, farmers innovate and revolutionise our agricultural practices. With the collaboration of Union Paysanne, Coopérative pour l’agriculture de proximité écologique – CAPÉ, Concordia City Farm School, and Concordia University Environmental Health and Safety. City Farm School is celebrating it`s 5th anniversary with an open air celebration, where you may sample local products and visit the City Farm School – August 3rd, Tours – 4:30-6:30pm, The Future of Farming Conference 7-9:30pm and future farmers celebration following the conference! PLUS! 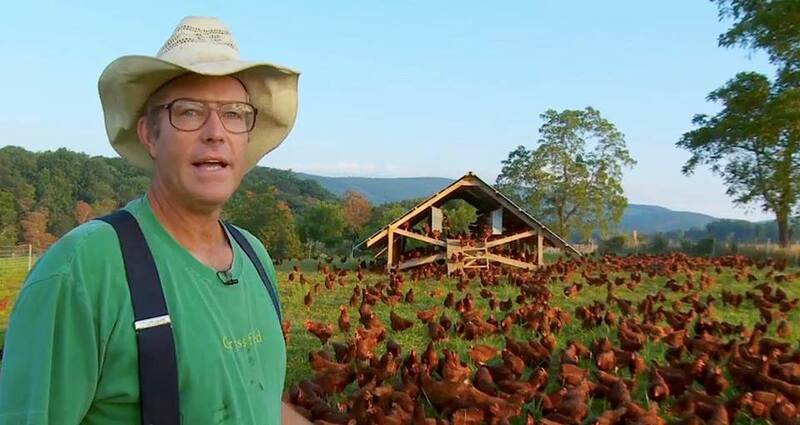 The next day, don`t miss this incredible workshop entitled You Can Farm with Joel Salatin!